Isaiah 40:8 Who can you trust? Author LCPublished on June 8, 2011 Leave a comment on Isaiah 40:8 Who can you trust? In my last two posts I’ve talked about the fact that there is trouble in this world, and it is a good thing to wait on the Lord. That is because God is reliable and trustworthy. In the King James Version, Isaiah 40:8 says that the word of our God shall stand forever. He assures us that He will keep His promises, no matter what circumstances we may face and whether or not we always understand how or know when. Isaiah 40:10-11 indicate that the Word of God will bring deliverance, and that He cares for us. That love and salvation was made human in the person of Jesus. (John 1:1-5) Jesus’ sacrifice at the cross made it possible for us to have eternal salvation and to have an eternal connection with God who cares so deeply for us that He gave up His own Son to redeem us. Jesus is the fulfillment of the Word. (Matthew 5:17) Because of Him we can be adopted into God’s family, and we can trust His promises both now and forevermore. 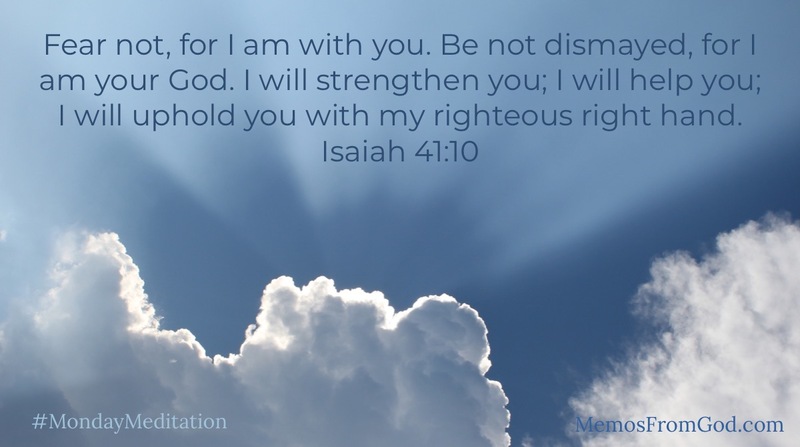 Published on June 8, 2011 Categories God's Power, TrustTags Isaiah, promises, reliable, trustworthy, wordLeave a comment on Isaiah 40:8 Who can you trust?